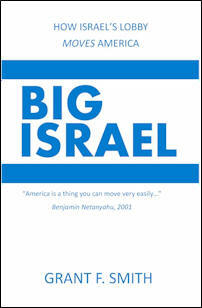 The nonprofit sector of the "Israel lobby" in the United States is made up of many organizations. This section uses the term “Israel Affinity Organization” or "IAOs" when referring to individual organizations in an attempt to be precise. Not all IAOs lobby. A handful of large IAOs—in terms of revenue—are not predominantly Jewish in terms of their leadership, members and donors, though most are. In order to be included in this IAO analysis, an organization must have all of the following attributes. It must be an IRS recognized tax-exempt 501(c)(3) or 501(c)(4) organization. This means a group that incorporated (or in some instances was brought into being by legislative action), then applied to the IRS or its predecessor for tax-exempt status as a social welfare providing organization and now operates with tax-exempt status. To be included an IAO must actively and unconditionally support Israel as a major function. This must either be a formal component of the organization’s mission statement or a top priority in programs or observable as its core mission. Some organizations, such as the Foundation for the Defense of Democracies, are dedicated to framing Israeli issues as American concerns and hiding their affinity. They make no mention of Israel in their mission statements. We include such organizations if their output on behalf of Israel is so high it can realistically be presumed to be a primary purpose. We also include the main evangelical Christian organizations to the extent possible. One of the highest profile thanks to heavy expenditures on public relations, Christians United for Israel, has hidden behind its status as an “association of churches” to conduct lobbying activities and conceal basic information from the public. Though Christian evangelical influence and entry into the fray are relatively recent and somewhat overestimated, they are an important component of the ecosystem because they tap an entirely different revenue stream and can mobilize large numbers of voters. They also sometimes undertake risky overseas ventures on Israel’s behalf that carry a high potential for blowback against the United States. To be included here an IAO must raise the majority of its funding in the United States. Some of the “startup” funding that launched the American Zionist Council and AIPAC was actually foreign money, laundered through various entities, by the Jewish Agency. Today most IAOs appear to raise the majority of their funding in the United States—though there is much consultation with Israeli officials on how it should be spent. This activity creates a quantifiable, largely unexplored, and highly negative impact on U.S. taxpayers tapped to fill the revenue holes created by the tax-deductibility of the billions of dollars moving every year through the system. Lastly, to pass through the IAO screen an organization must be headquartered in the United States. While many large and small IAOs have offices in Israel and conduct their ongoing private consultations with government officials there, no advantage can be gained by actually headquartering in Israel. The Jewish Agency for Israel ran into innumerable woes and tangles with the Foreign Agents Registration Act office of the Justice Department as a foreign-based entity. While offices in Israel offer prestige and easier private communications with Israeli government officials, there is no longer any worthwhile tax or influence advantage to headquartering in the state of central IAO concern.